Describing his winning design submission, architect Eero Saarinen wrote in 1948 that his proposed arch “symbolized the gateway to the West, the national expansion, and whatnot.” Today the 630-foot Gateway Arch stands as the tallest memorial in the United States and the tallest stainless steel monument in the world. 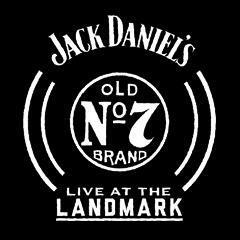 On May 18th, Jack Daniel’s Live at the Landmark arrives at Overlook Stage in the shadow of The Gateway Arch. Be there if you can. It’ll be a night filled with great whiskey, Eagles of Death Metal and a whole lot of whatnot. The show is free, but you have to win to get in. Find out how by clicking here.